Aniqa Nawabi joined MCN as its new Executive Director on October 2018. She brings nearly a decade of experience in non-profit management and policy to this role. 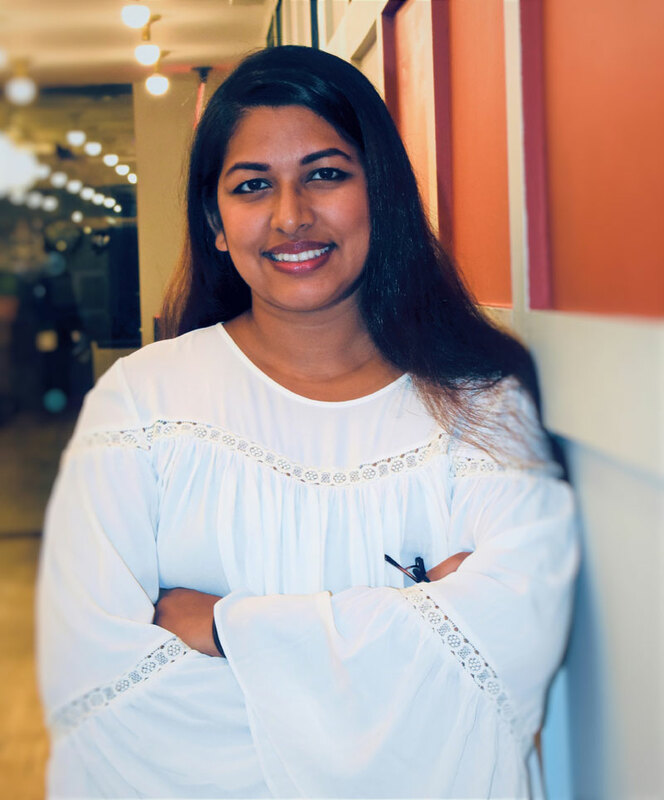 Prior to joining MCN, Aniqa served as the Director of Development at Chhaya Community Development Corporation, a non-profit organization that works on the housing and immigrant rights of the South Asian community in New York City. As the lead fundraiser, she raised a budget of $1 million+ each year and helped expand and grow Chhaya’s reach among the individual donor and institutional funder landscape in New York City. She first started her career as an Assistant Research Scholar at New York University where she studied post-conflict states and worked on international development projects in Afghanistan. As an immigrant from Bangladesh and growing up as a Muslim American teenager in Queens, New York, she saw firsthand the struggles Muslim communities face in the post-9/11 era. Aniqa grew up in Germany and South Africa before coming to the United States and holds a Masters in Public Administration degree from New York University’s Wagner School of Public Service and a B.A. from the City University of New York-Queens College. She is a mother of two, an avid traveler, and speaks Bengali, Hindi, and Farsi. Shiraz has nearly a decade of experience in the financial services sector, with a focus on the energy and technology markets. He also enjoys volunteering his time as a mentor. He recently completed a two-year mentorship program that focused exclusively on professional networking and career development for first-generation college students. He is excited about the opportunity to set up the first institutionalized mentorship curriculum specifically designed for young Muslims professionals in the greater New York area. Shiraz graduated from the University of Texas at Austin with dual Bachelor’s degrees in Corporate Finance and Accounting. His favorite hobbies include biking, scuba diving, and snowboarding. Kujegi Camara is a Bronx, NY native with roots from the Gambia. She is a recent graduate of the Immigrant Justice Corps Community Fellowship, where as a Department of Justice Accredited Representative, she provided direct legal services and representation to low-income African immigrant women and their families. Kujegi comes to MCN with a background in research, migration studies, youth programming, interfaith organizing and community engagement. Kujegi is passionate about creating meaningful connections across different platforms, entities, and people. 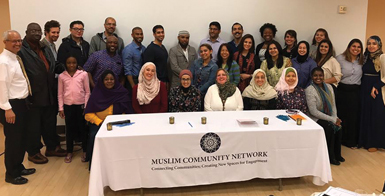 As a community education and interfaith program coordinator at MCN, Kujegi is excited to grow the organization’s interfaith program and to broaden the reach of its community education programs within NYC’s diverse Muslim communities. In her personal time, she performs and writes spoken word poetry and is co-founder and President of the Smiling Coast Women Empowerment Network, a grassroots initiative that mentors young West-African Muslim females and helps them on their journey towards college. She holds a bachelor’s degree in Anthropology from Princeton University. Hassanah is a Newark, NJ native and a graduate of Rutgers University Master of public administration program. Her tenure in youth development implementation, grassroots advocacy, and government administration has given her the skills to lead MCN’s youth programs. 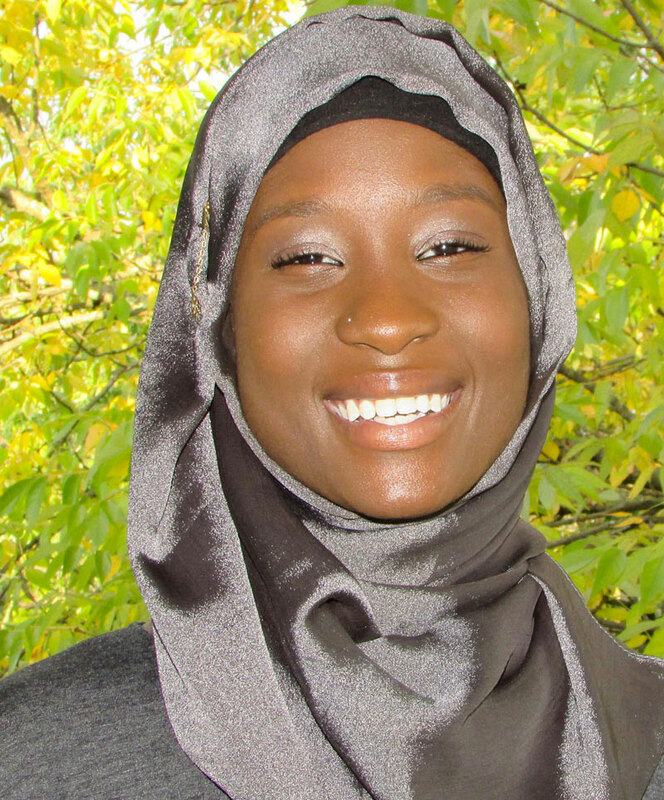 Hassanah’s commitment to serving in areas of need will be a lifelong passion. She aspires to learn and grow in the public sector to enhance her leadership skills. 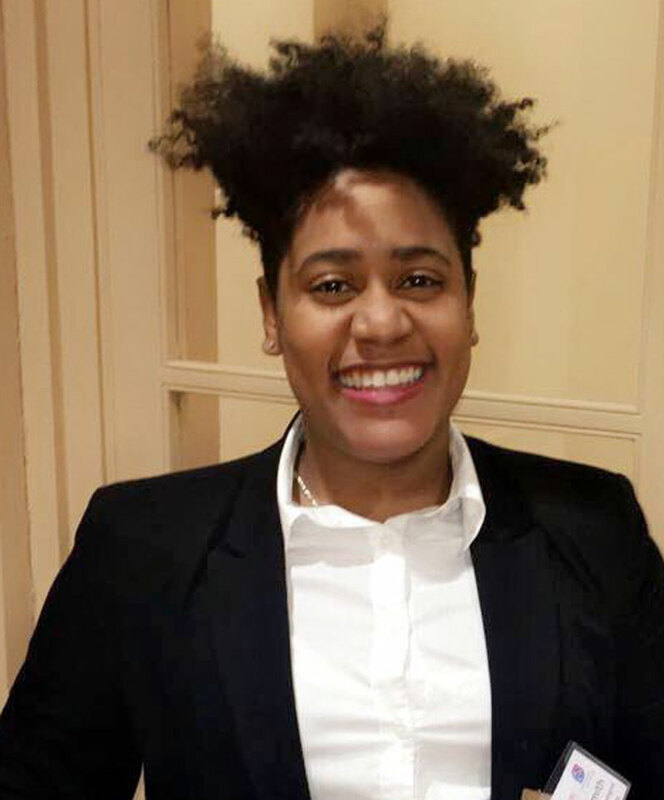 As a champion for social justice Hassanah will collaborate with local New York schools to implement the necessary skills for students to see value in their involvement and create tomorrow’s leaders. Dr. Debbie Almontaser is the founding and former principal of the Khalil Gibran International Academy. Dr. Debbie Almontaser is the founding and former principal of the Khalil Gibran International Academy. A 25-year veteran of the NYC Public School System, where she has taught, trained teachers, and served as a multicultural specialist and diversity adviser. Dr. Almontaser is the Board President of the Muslim Community Network. Dr. Almontaser frequently lectures on Arab culture, Islam, cultural diversity, interfaith coalition building and youth leadership. Dr. Almontaser sits on the Public Advocate Tish James’ Jewish, Muslim, and Sikh Task Force to Combat Hate. Dr. Almontaser also serves on the board of The Therapy and Learning Center Preschool and Emerge USA National Board. Dr. Almontaser is a published writer on Education and American Muslim issues. She has been profiled in the NY Times on the founding of the Khalil Gibran International Academy as well as Time Magazine, Newsweek, and profiled in the Daily News for spearheading the inauguration of NYC’s Arab Heritage Week in 2005. Recently, Dr. Almontaser was a featured speaker at the 2016 National Democratic Convention. Dr. Almontaser is a recipient of numerous awards ADC National’s, Rose Nader Award Commitment to Values of Equality and Justice, Pax Christi’s Local Peacemaker Award, Jews for Racial and Economic Justice’s Risk-Takers Award, the Annual Faith Leaders Award and proclamations for building bridges of understanding from the Mayor of the City of New York, Brooklyn Borough President and a proclamation from the New York City Council for her excellence in education and a proclamation from the NYC Comptroller’s office for her civic engagement organizing work. Dr. Almontaser was a Columbia University Revson Scholar in 2005. She was also named a Thought Leader at the ASMA Society Muslim Leaders of Tomorrow Program in 2006. M. Bari Khan has been active in Islamic affairs and the Muslim communities in New York for many years. 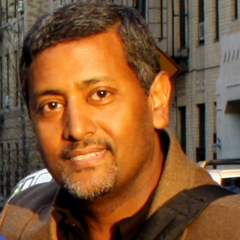 Bari is one of the original founders of the Islamic Center at NYU, one of the leading university based Islamic organizations in the United States, and is active in several South Asian and Islamic community groups today. Upon his graduation from NYU’s Wagner Graduate School of Public Service, Bari joined City Hall under Mayor David Dinkins, one of the first Mayors to endorse diversity initiatives in the City and recognize Muslim holidays. Today, he works as a Director of Finance at the NYC Health Department and most recently worked on Mayor Bill de Blasio’s election campaign. 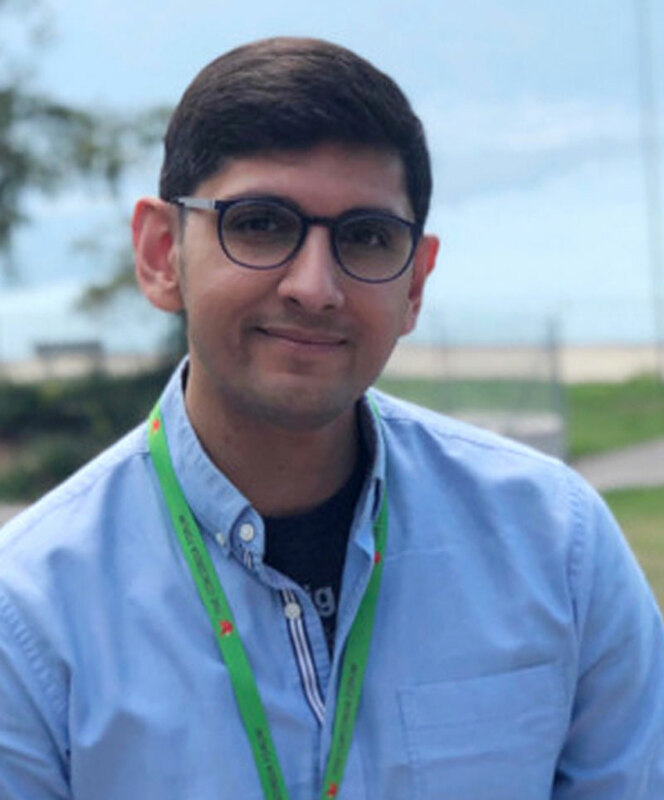 Besides his professional work in public service, Bari is a parent advocate in the Upper Westside and has chaired the PTA Diversity Committee for the past 5 years at PS199 (the only school in Manhattan to win the coveted National Blue Ribbon School Award). He lives in Manhattan with his wife Rifat and two daughters, Maha and Suha. After 35 years as one of the founders of the ICNYU, Bari remains as committed as ever to enhancing the understanding of Islam and empowering Muslims in the City of New York. Malik Sabree is the Chairman/Founder of PIRS LLC and PIRS Holdings LLC. Malik Sabree is the Chairman/Founder of PIRS LLC and PIRS Holdings LLC, the sole provider of credit ratings for the private lending industry that specializes in risk management and is the Founder of The Mores Group, LLC, a debt buying/private lending company established in 2009 He is also the Founder of The Viewtainment Corporation in 2006, which created and developed casual games for cellphone users long before the advent of the smartphone. 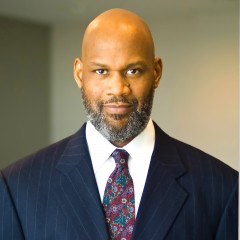 A post graduate of University of Iowa College of Law and Henry B. Trippie College of Business, he received a Juris Doctor and Master of Business Administration in 1999 and a Bachelor of General Studies from Virginia Commonwealth University in 1992. He is currently focusing on multifamily acquisition and asset management. Laila Marie Al-Askari is the Director of Administration and Finance for The Brick Presbyterian Church where she is developing the organization’s systems to service inreach and outreach needs as well as interfaith work. Ms. Al-Askari has a keen interest in serving the Muslim community, an activity that she has been involved in since her school days. In 2014 the Islamic Center of New York University (ICNYU) awarded Laila the Visionaries Award for her work in cofounding the Islamic Center during her undergraduate years at NYU. The ICNYU began with 7 members and today over 1,000 students and alumni are active in the ICNYU community. She feels that it is her duty to speak out for Islam, and clear misconceptions about Islam. As a young professional Laila formed the Young Muslim Professionals Club. It is Ms. Al-Askari’s goal to see Muslims become visible, and for people to see Muslims as valuable members of their society. Laila’s interfaith work has led her in many directions. In 2017 Laila joined the board of the Muslim Community Network to continue her work on building bridges within our communities. 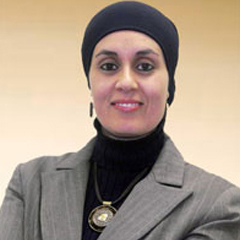 She has served as Treasurer for the American Society for the Advancement of Muslims, and served as the Muslim representative to the Executive Committee for Auburn Seminary’s Face to Face Faith to Faith Program for conflict resolution, and currently serves in an advisory capacity to the Board of the Cordoba House and the Islamic Sunday School Program. During the past several years Laila has participated in interfaith panels on Islam at Marble Collegiate Church and other venues. Most recently Laila participated in the Muslim Leadership Training program jointly sponsored by the Cordoba House and the Hartford Seminary. Ms. Al-Askari is a native New Yorker, a graduate of New York University with a BA and MA in Near Eastern Literature and Languages, and an MBA in Healthcare Administration from Baruch College/Mt. Sinai School of Medicine and is a Certified Health Care Executive (CHE). 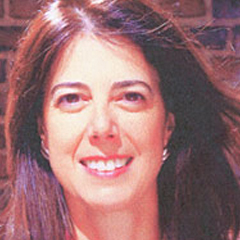 She was the Administrator for Cardiology at Beth Israel Medical Center, and later at Montefiore Medical Center, worked in the Otolaryngology and Ophthalmology Departments as the Director of Business and Clinical Affairs providing needed services for underserved areas. For this work she was one of the first administrators to become a Fellow of the New York Academy of Medicine. Hobbies: Travel, Diving: Master Diver and an avid underwater photographer.